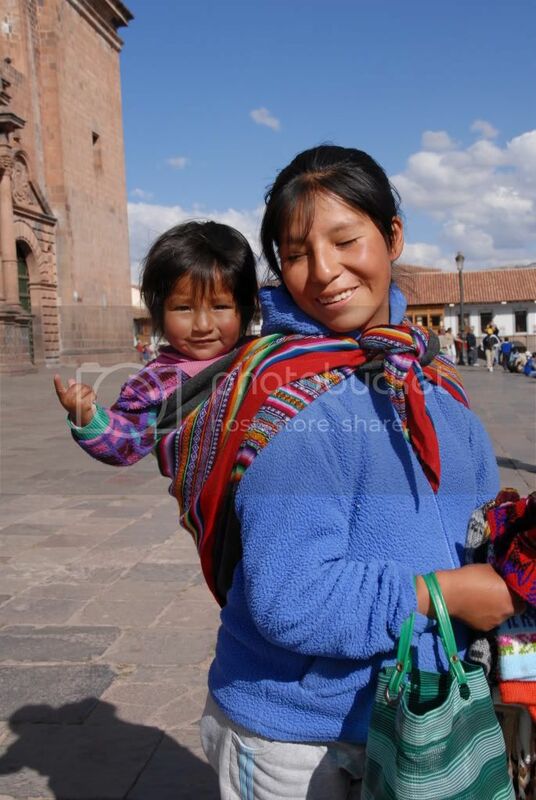 I really love this smiling babywearing pair from Peru, captured by Nick Pye on stock.xchng — the mother getting on with her shopping, the simply knotted woven wrap, and that the baby appears to be a toddler! I wish I could get a better look at one of those slings because I can't understand how the child doesn't fall out! Ooh, now that is a great way to keep a baby from running away while doing your shopping! Great photo with lots of color! Thanks for stopping by my Wordless Wednesday! Lovely. I saw lots of this in Mexico, long before I knew what "babywearing" was. I saw this frequently in Mexico too, and it seemed that they used just about anything to tie babies to them. I try to remember this when I'm trying so very hard to figure out the right way to carry with a couple of my carriers!